And beyond build, Cardas have taken a really interesting approach to sound; in a price range where most brands look towards multi armature or hybrid driver setups, Cardas have instead produced an interesting take on the traditional dynamic driver. The A8 has been kind of refreshing for me, it’s a truly unique product that seems to have been designed in isolation of other products, they are simply so unlike anything I’ve come across in terms of both build and sound (which works both for and against them). On that note, they are utilizing a similar technology to the TFZ Exclusive earphones (or rather, the TFZ earphones are using the technology pioneered by Cardas) which encompasses the use of two magnets within each driver. Through this, Cardas claim lower distortion and superior end to end extension than traditional single dynamic driver earphones. And in listening, the A8 does indeed produce some stunning qualities but, as always, it is not an earphone without its faults. Of note, I did put the A8 through 150hrs of burn-in and attempted some tip rolling to achieve my most desired sound. I ultimately ended up with medium JVC Spiral Dots which had more clarity, bass definition and a generally improved sense of openness up top. I would definitely recommend that A8 users looking for a brighter sound invest in a pair or two, I also felt that I achieved a better seal with the JVC tips than the stock dual flanges. While their site states that the 30th Anniversary model carries the same sound as the regular A8, Cardas did confirm that the drivers in the 30th Anniversay A8 have been slightly reworked and that the cable has been improved producing a slightly different sound but one with very similar characteristics. Unfortunately, I don’t have any experience with the original model but at the very least, I did very much enjoy my time with the new A8. While it is not difficult to achieve high listening volumes with the A8, I would not say that it is an easy earphone to drive. Cardas don’t provide any specifications on the exact sensitivity though they are similar to the Oriveti New Primacy which should indicate a ~10ohm impedance in addition to a ~105dB sensitivity. As such, my iPod Touch and HTC 10 had no issue driving the A8’s to a comfortable volume though the earphones sounded a bit closed off. However, the A8’s scale exceptionally well from higher end sources, from my X7 II, the A8’s really opened up, their soundstage greatly expanded and bass tightened up. They are still perfectly happy from a portable source but I would recommend pairing them to a good DAC/AMP. The A8 is an L-shaped earphone with lifted bass presence relatively even mids and a gradual decrease in treble presence. Despite this, they are still quite balanced overall though they aren’t a neutral earphone in any way. 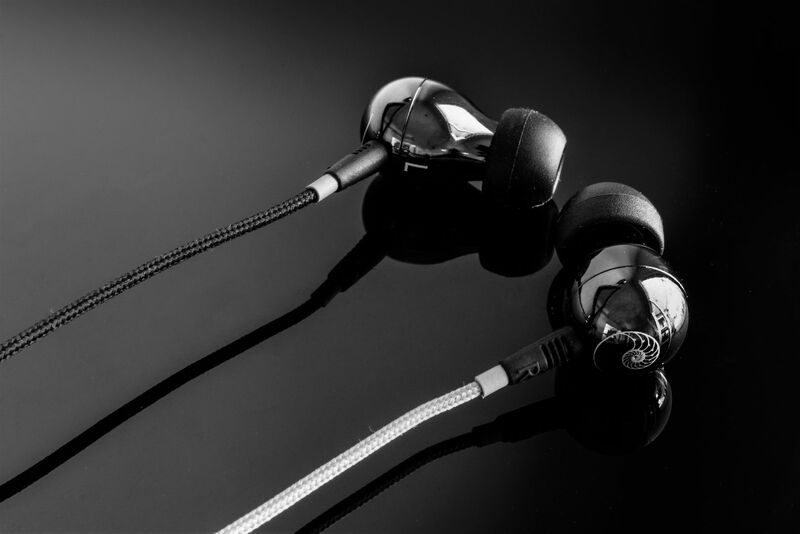 The Cardas A8 has a truly spectacular soundstage that is easily among the most spacious earphones I’ve heard around and well above this price. Not only do they produce out of the head width, the A8 also has an impressive amount of depth. When listening to “Morning” by Beck, the A8 provided a truly vast presentation with immersive space and stunning projection of vocals. In addition, guitars were separated and drums expansive. This is aided by the A8’s strong imaging, instruments are easy to pinpoint and centre image to main vocals is strong. They aren’t as holographic as the 64Audio U6 or Campfire Jupiter, but the A8 matches the Rose BR5 on accuracy if not on speed and sharpness. Separation is more mixed, the A8 has quite a thick low-end mated to a more laid-back high-end though due to their great sense of space and excellent dynamics, the A8 never sounds congested, they have plenty of resolution to slice through any muddiness. That being said, each frequency can get a little muddled, for instance, bass notes don’t sound super delineated though they never encroach upon the midrange. The more balanced New Primacy and brighter, considerably clearer Rose BR5 MKII both have greater delineation within each frequency range. Powerful and defined, the A8 has weight to its lower registers and the muscle to get it moving, they take full advantage of their proprietary dynamic driver to deliver awesome rumble and body. Sub bass extension is stunning, earphones don’t get much deeper than this, even the Sennheiser ie800 and Shure SE846 can’t match the rumble and impact of the A8 despite costing 2, even 3 times as much. The A8 is probably the closest I’ve come to a home theatre sub-woofer from an in-ear, that really deep information that other iems give the listener a taste of every now and then is put on full display from the A8. They have so much slam yet simultaneously resolve so much texture within the very lowest registers, bits of rumble here and there that the vast majority of earphones fail to reproduce at all. But that’s not too say that the A8 is a loose bass canon, they are actually modestly balanced, sub-bass has great emphasis though it feeds smoothly into mid and upper bass creating a sound with plenty of body but minimal bloat. And the quality of that bass, sub-bass, in particular, is excellent. Bass is surprisingly tight and very textured, perhaps not quite as much as the Flares Pro and ie800 but definition and bass energy are both stunning. When listening to Hyukoh’s “Tokyo Inn”, the A8 provided exceptional bass depth to drums along with a nice definition to bass guitars all while avoiding lower midrange spill. By comparison, the hybrid New Primacy and BR5 failed to encapsulate convincing slam to bass drums with only a slight advantage on texturing and definition. Bass speed is also impressive given the A8’s style of tuning, they are pretty snappy even though bass is thick though armature earphones easily outpace them as do the quicker micro driver Flares and Sennheisers. Neutrality is not the A8’s intention but if its bass extension and power that you want, the A8 provides one of the most dynamic listens I’ve come across, they are exceptionally well done. The midrange sits a step behind the bass response, but a touch of extra clarity to lower mids and a slight rise in the upper midrange grant vocals with some extra presence that creates a mostly balanced listen. Mids are natural and generally full bodied, vocals can sound thick but there’s a layer of resolution and clarity that slices through any veil and their soundstage prevent congestion. In addition, vocals are exceptionally smooth which, combined with their more laid-back tone, creates excellent listenability over longer listening sessions. On the flipside, the A8 is not the most immediately resolving earphone, they don’t layer like the New Primacy nor do they present details like the Rose BR5 MKII, but the A8 is the most organic and musical of the bunch. Both male and female vocals have nice presence and the A8 actually resolves a little more background detail than either of these earphones, it’s just not always apparent. When listening to CLC’s “Liar”, the A8 provided awesome bass definition and reach complimented by clear, spacious if slightly recessed female vocals. Layering was apparent if not ultra-defined and the higher synthesized effects were appropriately placed and separated. Otherwise, resolution is very good, not quite as high as the BR5 MKII overall, but the A8 is similarly resolving as the New Primacy. And despite their full bodied, laid-back nature, the A8 is surprisingly transparent, they are more adaptable to different genres than the BR5 MKII despite being far less neutral. Detailing is an interesting affair because raw retrieval is very good yet the A8 is clearly missing some bite to their upper midrange. As such, acoustic sounds very realistic and textured but also slightly dull, especially when compared to the brighter Primacy and BR5. While they have no issue with modern pop, Asian pop and electronic which all have a slightly thinner, clearer mastering, the A8 can sound a little too laid back with rock and jazz. Highs are on the polite side, given the A8’s upper midrange and general treble tuning, it seems that Cardas have tuned them more for long term listening rather than critical listening though the A8 still retains plenty of engagement in that regard. Even compared to the very smooth New Primacy, the A8 sounds quite toned down. They still have some crispness, when listening to Axwell’s “More Than You Know”, the A8 produced a really impressive amount of high-end clarity though a gradual decrease in emphasis as the frequencies rise is apparent, sapping them of that airy quality. Similarly, Seal’s “For The Love Of You” was nicely crisp, each guitar strum was clear and each cymbal had some shimmer though again, the A8 rarely sounds airy or extended like the Campfire Orion and BR5 MKII, even the New Primacy has a little extra energy to highs that grants it with some engagement. Now this is going to get subjective, but when I was listening to the A8, I didn’t notice the lack of high-end air like I do when I listen to the New Primacy. I would intimate that their bass response tends to draw attention, but the A8 does have a little lower treble something that grants instruments like strings some additional presence before declining in emphasis. The A8 isn’t missing any high-end detail or nuance compared to similarly priced models but what is there does sit further behind in the mix. While some may find the A8 too laid back, they do retain enough resolution, extension and detail to engage and find genre versatility. Furthermore, they are absolutely resistant to fatigue and sibilance, even on poorly mastered tracks and the A8 really takes the edge off harsher recordings.